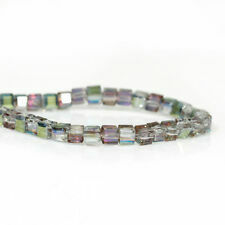 One strand small sparkly pale grey green mauve rainbow AB faceted beads. A beautiful bead suitable for all your jewellery making and crafting projects! ALL ORDERS ARE DISPATCHED WITHIN 24 HOURS. You Will Receive. 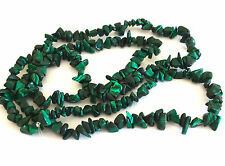 Malachite Chip Beads. Weight: 22 grams. Hole : 0.7mm. 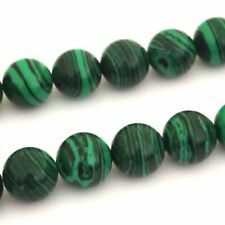 AAA grade Natural Malachite Agate Beads, Teardrop shape. Size cca 18 x 25 x 8mm. 5 sparkly Gold Plated rainbow AB faceted Cube Crystal Pendants. A beautiful Pendant suitable for all your jewellery making and crafting projects! You Will Receive. 8mm Natural Gemstone Round Beads. 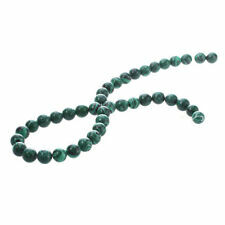 One strand Sparkly malachite rondelle faceted crystal beads. A beautiful bead suitable for all your jewellery making and crafting projects! You Will Receive. Grade A Natural Red Malachite Semi-Precious Gemstone Round Beads - 10mm - 15.5"
High quality natural Red Malachite (light red) semi-precious gemstone round beads. 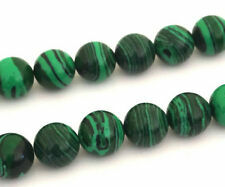 Synthetic Malachite Beads. Size: 10mm. Colour : Green. One strand sparkly pale gold AB rondelle faceted beads. A beautiful bead suitable for all your jewellery making and crafting projects! You Will Receive. Material: renewable Malachite. It can be a nice match for jeans wear or evening, not import jeans wear or evening dress. Special form, the best gift. 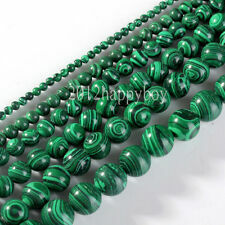 10mm the beautiful malachite lines bead jewelry accessories loose beads 15 "
Such as jewelry, Decoration, jade, and so on. I will do my best to solve the thing about the item. Dear friends, Hello ! Material: Reprocessed malachite. strand Approx. 19-21 pcs/ strand. The fantastic jewelry you are longing for!Can be a nice match for jeans wear or evening dress! Note:Light shooting and different displays may cause the color of the item in the picture a little different from the real thing. 50 Carats. The Finest Gemstones! The Finest Beads! They are good for necklace, bracelets and earrings. Cut: Cabochon. Weight: 50 carats. Size( Approx ): 4mm. Note:Most of our beads, are one of a kind - Unless stated otherwise, the picture shown is a representation of the item you'll receive from the available lot. Material: Reprocessed malachite. strand Approx. 19-21 pcs/ strand. 2X(The fantastic jewelry you are longing for!Can be a nice match for jeans wear or evening dress! Note:Light shooting and different displays may cause the color of the item in the picture a little different from the real thing. ). Material: renewable Malachite. 1X(Special form, the best gift. It can be a nice match for jeans wear or evening, not import jeans wear or evening dress. ). Special form, the best gift. It can be a nice match for jeans wear or evening, not import jeans wear or evening dress. Colour:green Material: renewable Malachite Size: approx 10 mm Condition: 100% new Weight: approximately 57. Material: Reprocessed malachite. strand Approx. 19-21 pcs/ strand. 1X(The fantastic jewelry you are longing for!Can be a nice match for jeans wear or evening dress! Note:Light shooting and different displays may cause the color of the item in the picture a little different from the real thing. ). Material: Reprocessed malachite Size: Approx. 20 x 15 mm Condition: 100% new Weight: Approx. 59 g Hole Size: Approx. 1 mm Quantity: 1 strand Approx. 19-21 pcs/ strand, Length: Approx. 410-380 mm Conversion: 1 mm = 0.0394 inch, 1g = 5 carat Brand Unbranded MPN Does not apply UPC 4894462252550 EAN 4894462252550 ISBN 4894462252550.